I knew working with John was going to be a great project from the start. By the end he had pushed my building to a whole new level and opened my eyes to what is possible. "I had an idea, a dream, for a new instrument: a guitar bouzouki but not an ordinary guitar bouzouki. 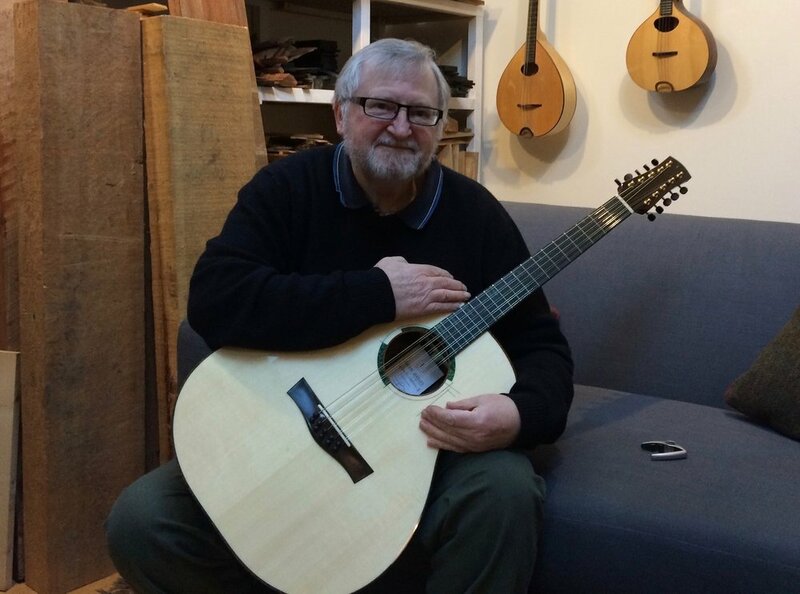 I began my search online, eventually coming across a video with Kevin Macleod playing a guitar bouzouki by Rory Dowling of Taran Guitars in Pittenweem. One phone call later and we arranged to meet to have a chat about the possible build. I grew up with a father whose day job involved working with wood but it was also his passion and many pieces of wood were transformed into functioning objects, in the woodshed, at the bottom of the garden. On meeting Rory, I quickly realised I had met a kindred spirit, a man with the same passion, knowledge, experience, a need for precision and there began a journey of mutual discovery and invention. So, what was I looking for? 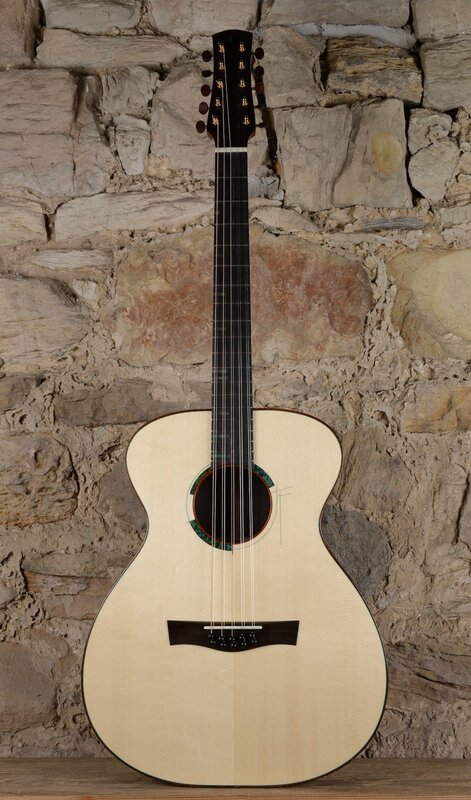 A guitar bouzouki with five pairs of strings (not four), the fourth and fifth pairs having octave strings, a body big enough to bring out the added base notes and a wedge shape to make it easier to play. 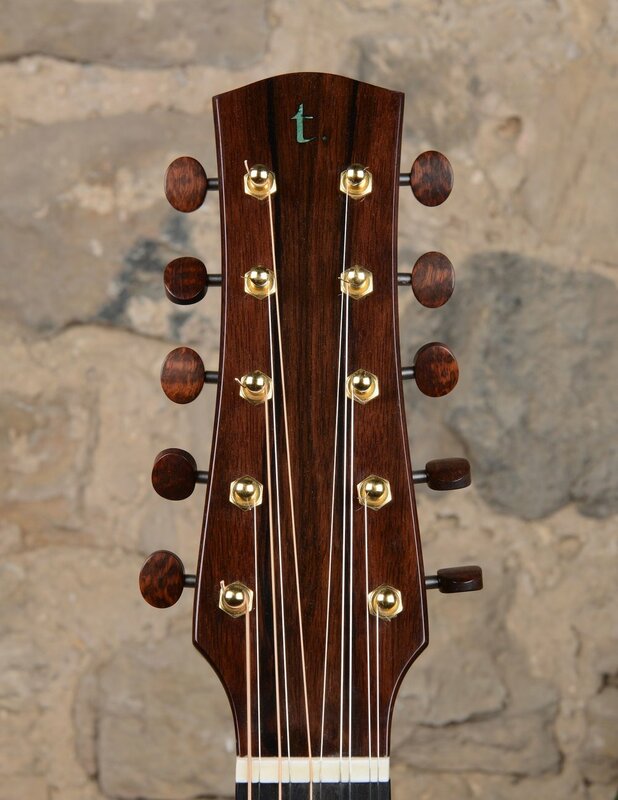 I also wanted the fret markers placed to the top of the fretboard instead of the centre and diminishing in width from the twelfth fret to the third fret. 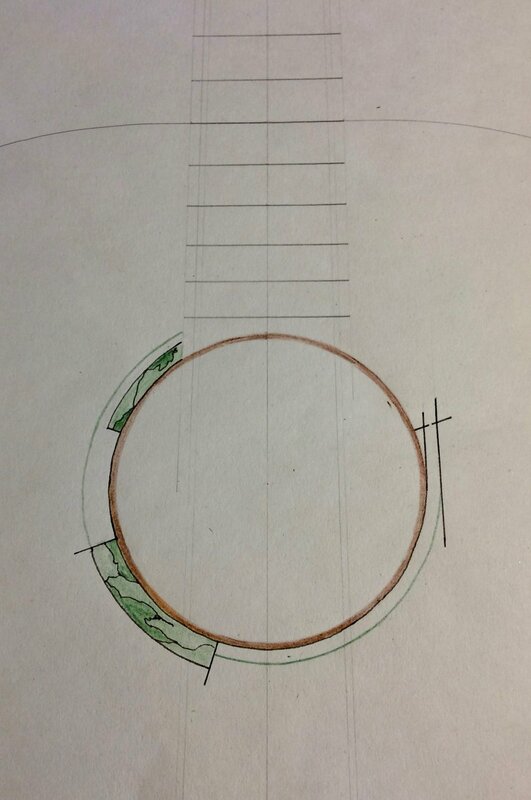 I had drawn up an idea about the rosette which broke with the traditional round shape that we normally see on the sound hole. Rory went on to explain that these were the sort of details that he had been looking to create on an instrument but no-one had asked for them before. Then I came along! Malaysian Blackwood was my preferred choice for the back and sides and Rory suggested pairing it with a German Spruce top. After tapping on various pieces of timber the wood for the instrument was reserved and the waiting began. Many photos, emails, telephone discussions and a few further visits followed as the project developed. The result is an instrument that we are both extremely proud of and an instrument I will always treasure and play most days. An instrument which is taking me off in new directions, musically. An instrument which allows for future experimentation with different tunings. So, if you have an idea that’s different from the norm, speak to Rory Dowling. The difference is in the detail and detail is what he is good at. 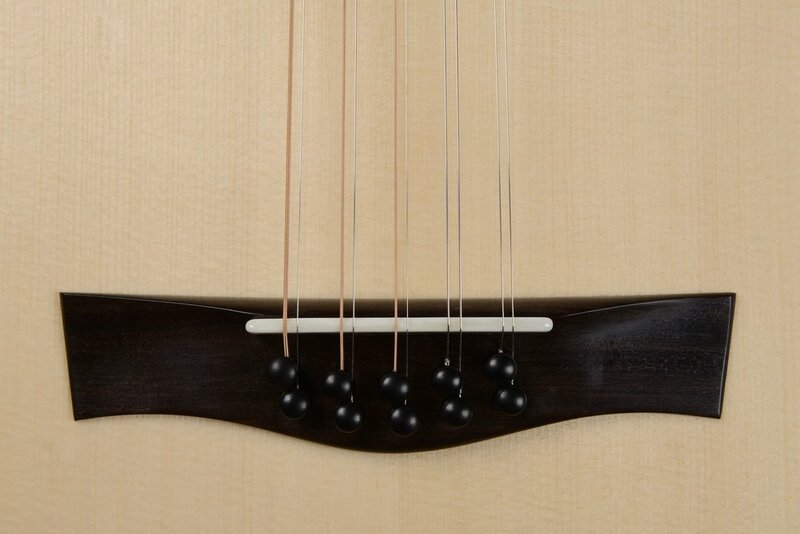 We used the Tirga Beag model as the starting point for the Guzouki. As a 6 string guitar, this model is very versatile. Its large range and great balance makes it a perfect start for this project. John was looking for a warm yet more focused sound as we didn't want this coursed guitar to sound jangly. Choosing Malaysian Blackwood provided this focus with the German Spruce emphasising the warmth. A whole new bracing pattern had to be designed to withstand the nearly 100kg pull of the strings, and a new bridge and headstock also had to be designed to accommodate the 10 strings. Russian stabilised Birch Burr for rosette, fret markers and t.
As John says, it is an instrument that we are both very proud of. A massive thank you to John for this project and for pushing me forward in my making. Special thanks to Susan Taylor for all of the amazing homemade shortbread supplied for our meetings which lasted sometimes all day!